Classic lace-up design with side zip closure. Leather lined with faux fur collar. Iconic, three stripe construction along the ankle and tongue. Rubber lug lift and sole. 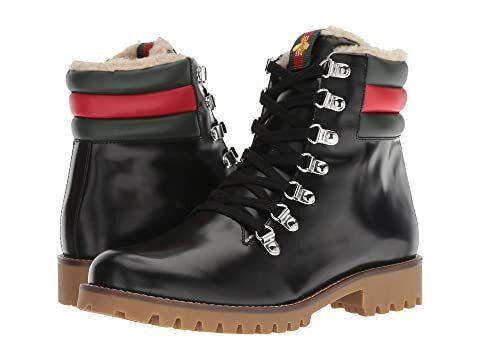 We can't currently find any similar items for the Jonathan Boot (Big Kid) by Gucci Kids. Sorry!